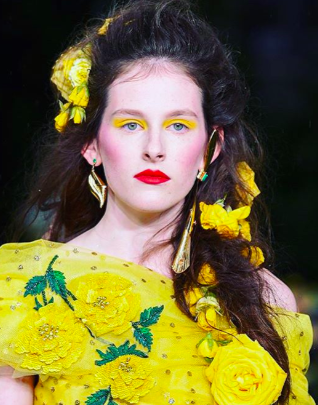 New York Fashion Week has shown that the jewelry world can add flair to any wardrobe, making the runway a multi-faceted show. On September 10th, the models showed off their collection of bejeweled accessories, and metal body pieces inspired by the impressive Art Deco designs of the past. The metalwork was supplied by Maggie Schpak, owner of Studio Art Metal Shop in Glendale, Calif., which has played a role in the making of props and costumes for big name shows and major motion pictures like the Star Trek franchise. The New York Marble Cemetery in the East Village was flooded with fantastically ornamented models, sporting their metal jewelry for all to see. 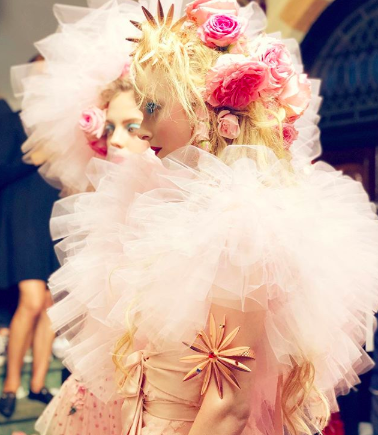 Pieces such as bejeweled floral armbands, fluid earrings, sunburst necklaces, gold-tone conical earrings took to the runway, accentuating the outfits of the wearers. 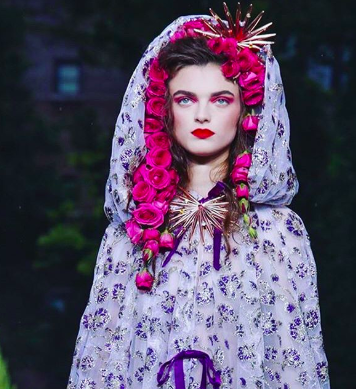 Rodarte is a Los Angeles–based atelier that was founded in 2005 by Kate and Laura Mulleavy, and has since become an upcoming topic of discussion at the National Museum of Women in the Arts in Washington, D.C. later this year. Look for more jewelry moments during this fashion season, as there are sure to be many to follow.